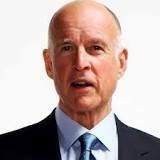 Governor Edmund G. Brown Jr. of California has advocated raising taxes for climate change as if paying more taxes could somehow alter the universe. Brown has also been staunchly against parents who protest against forced vaccinations. “On September 29, one day before the ECM turning point, what was to be a peaceful attempt to overturn California’s Mandatory Vaccine Law called sb277 was mysteriously “sabotaged.” Governor Brown signed sb277 into law in July this year removing the parental personal beliefs exemption or religious beliefs exemption to vaccines in order for their children to attend school. The law now requires that children be fully vaccinated in accordance with the CDC scheduled or must be forcibly removed from public or private school from preschool on up to college. Just a few weeks after the bill became law grassroots efforts filed a referendum to overturn the law. The parents opposing sb277 had to obtain approximately 360,000 signatures for the referendum to go to a ballot in 2016. Just weeks before the deadline, which was around September 29, a twitter message went out saying that they had at least 300,000 and many more were coming in. Days before the deadline sb277 supporters were very excited saying they thought they had almost 500,000 signatures. Suddenly on September 29, something happened. An announcement came from somewhere, news reports, saying that the state only received about 100,000 signatures, the facebook page to the sb277 referendum campaign disappeared on September 30, and the leaders are suddenly not responding. months of effort just vanished. This is beyond crazy.